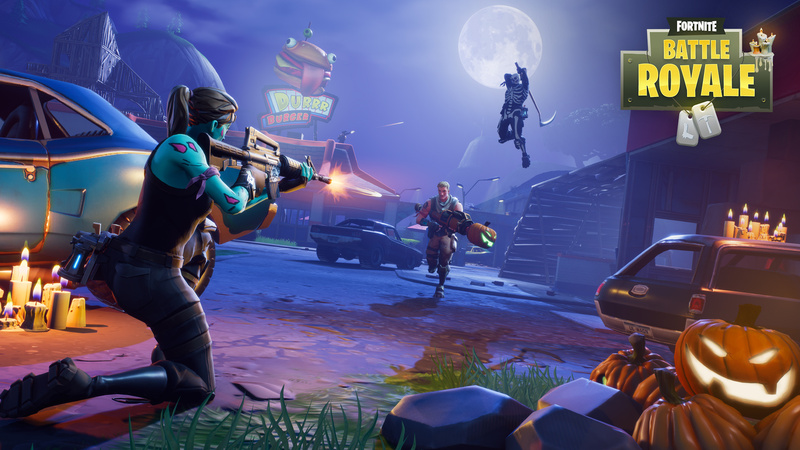 Visiting gas stations is one of the weekly challenges in Fortnite. You can only tackle these if you own the Battle Pass, but doing so nets you valuable experience that goes towards your seasonal rewards. These are well worth doing, because you earn a ton of goodies and some of them are exclusive. This guide covers the gas stations, where to find them, and what to do when you get there. What are gas stations in Fortnite? They are exactly as they sound – locations where you can fill up your vehicle with gas. 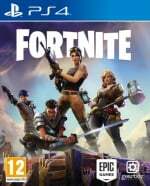 Well, there are driveable no vehicles in Fortnite, but whatever. You'll know you've found a gas station if you come across a small building with gas pumps underneath an arch. They look just like gas stations in real life too, if you've ever visited one. Where are the gas stations in Fortnite? 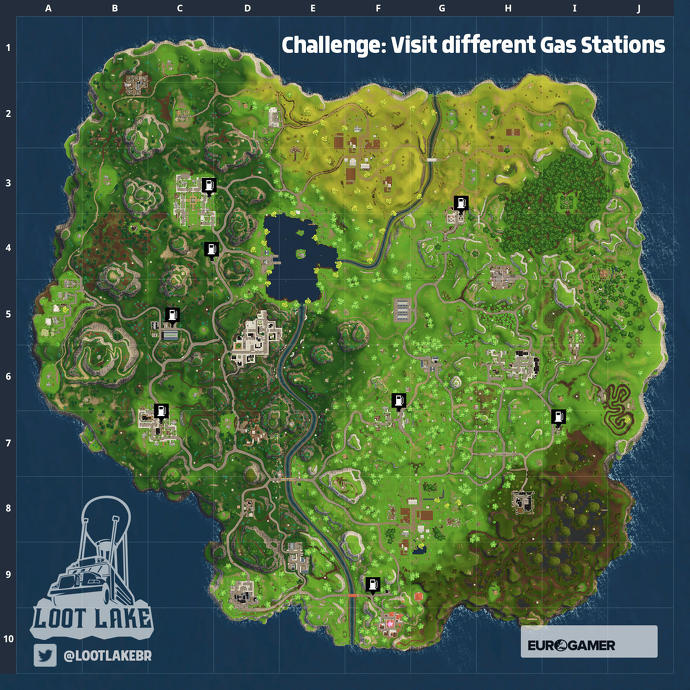 Fortunately for you, Reddit user Loot Lake has created a lovely map detailing the locations of all of the gas stations in the game. Take a glance and plot a route out..
What do I do when I get to a gas station in Fortnite? All you have to do is get near the gas station, and you'll know you've completed the challenge if you hear a party popper effect. Try and listen out for that to be sure you've successfully completed the challenge. How do I complete the gas station challenge in Fortnite? So for this challenge, you have to visit three different gas stations in a single game. That means you can't visit one, get killed, then visit two in the next game. It has to be all or nothing in a single match. We recommend plotting a course through the gas stations on the western side of the map. Either start at the Pleasant Park gas station and make your way down to Greasy Grove's, or vice versa. Bear in mind that you do need to complete the game you're playing after visiting three different gas stations to complete this challenge. If you quit out, you'll fail – don't be that person.